The .40 S&W caliber cartridge is a popular choice amongst U.S. Federal and State law enforcement agencies. Featuring a straight, rimless design, the .40 S&W caliber accommodates a wide range of semi-automatic handguns. 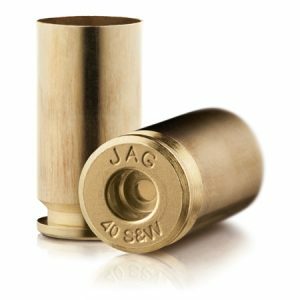 Dimensionally smaller than the .45, this casing delivers exceptional power with minimized recoil. Standard casing dimensions and tolerances have been modified to achieve maximum performance.